Employer Provided: Employers can provide salary ranges for specific jobs, meaning you will know exactly what kind of compensation to expect before you apply for the job. LinkedIn Estimated Salary: If an employer does not provide a salary for a role, we show you an estimated range from member-submitted data. You can now delete your salary information privately in your settings as your career evolves, which will always remain confidential to you and never shared on an individual level. Are You a Good Match for Your Dream Job? With its newly unveiled feature, “How You Match”, LinkedIn analyzes if you’re a good fit for a position. Utilizing your education level, skills, years of experience, and current job title, you can see where you align, and where you may fall short. No matter the job function (e.g engineering jobs, marketing jobs), LinkedIn provides you with real-time results. Mentorship is key to developing and sustaining a satisfying career and improving your professional life. 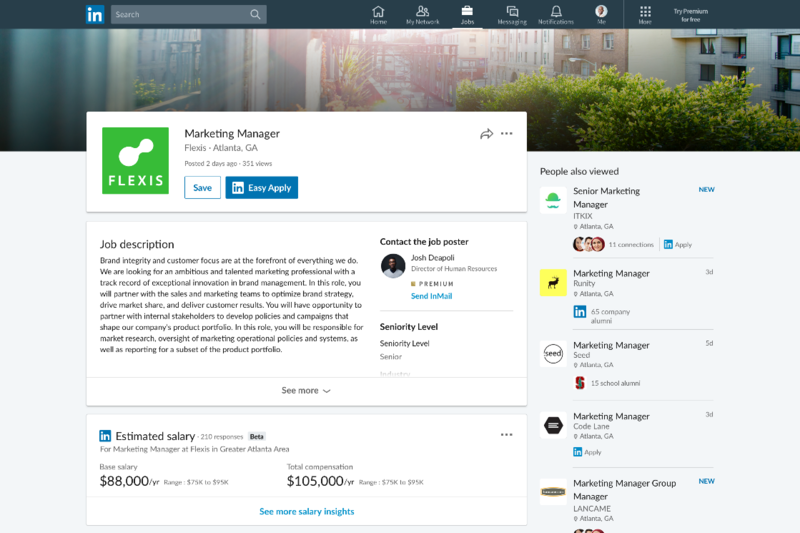 That’s why LinkedIn launched Career Advice, a new feature connecting members across the LinkedIn network with one another for mentorship opportunities. Just go to the dashboard on your LinkedIn Profile and find the Career Advice hub. Enter your preferences for the type of advice you’re looking to receive, and LinkedIn’s matching algorithm will recommend members based on mutual interests and your specified industry. You’ll be alerted when you are matched!